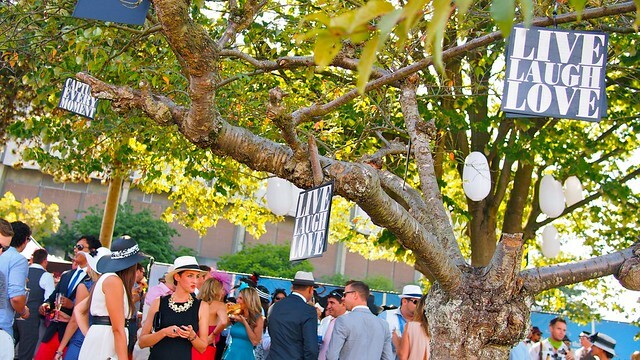 Deighton Cup weekend's 5th annual Thoroughbred: A Day at the Races gala event at Hastings Racecourse in Hastings-Sunrise on August 10, 2013. Mid-August always means I hit the track to see the horsies for (my third straight) a day at the races. 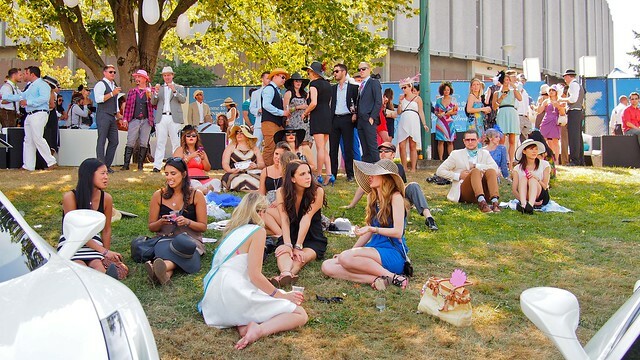 This means enjoying Deighton Cup weekend and all their trademark formal events. 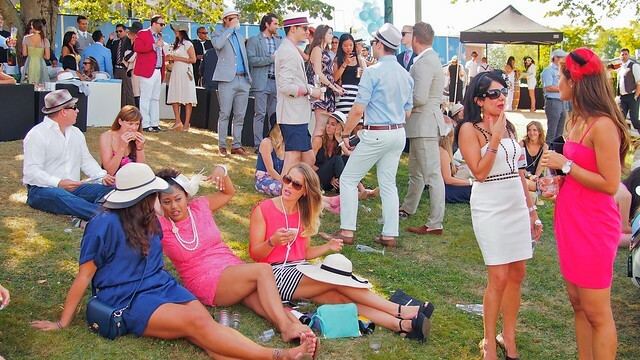 Thoroughbred, the weekend's anchor gala, jump starts the annual tradition of combining vices like cigars, scotch, live jazz, mint juleps, big hats, ascots, and of course, horse racing. A few "angels" from Mile's End Motors floated around greeting and posing with patrons in some classy (if skimpy) outfits. 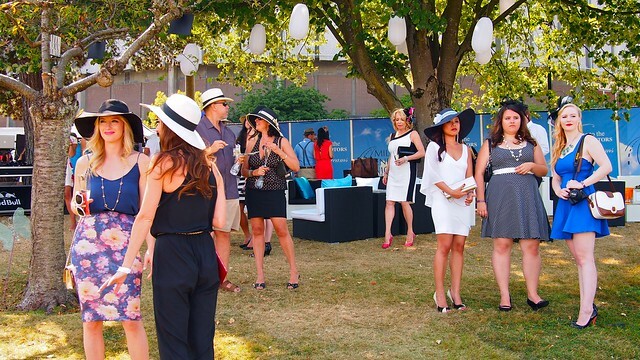 Dubbed by the Huffington Post as "the most stylish event of the summer", the crowded but elegant event continues to live up to the hype by attending to the details and maintaining an overall classic feel and theme. 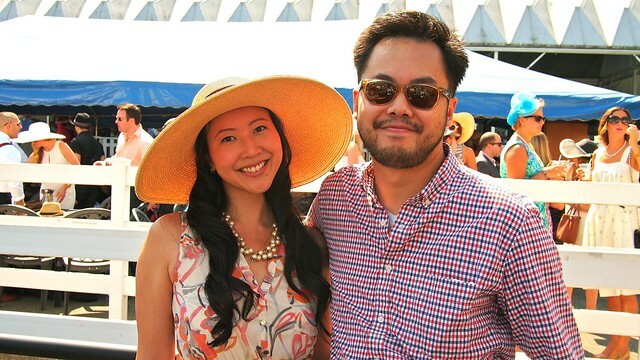 I was all (bearded) smiles despite the scorching August heat along with fellow wanderlust-er May Pang. More than a few words to live by hanging from trees: "Capture every moment" and "Live, laugh, love". Once again, it's all in the details. 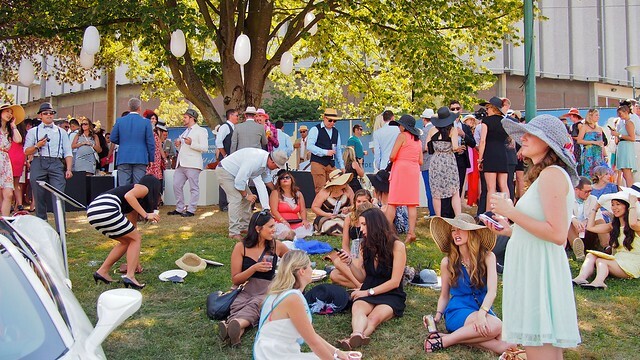 The grassy knoll proved to be an oasis from the searing heat, providing some much needed shade under the cover of trees and floppy hats. 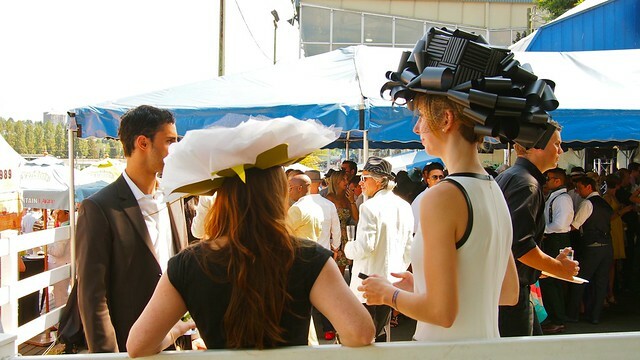 Hands down, easily the best and biggest hat (possibly ever) was elegantly worn (and made) by WE Vancouver reporter Kelsey Klassen. It was like an ornately decorated black gift wrapped box atop her head and she totally pulled it off.